You need to learn to read Japanese, right? 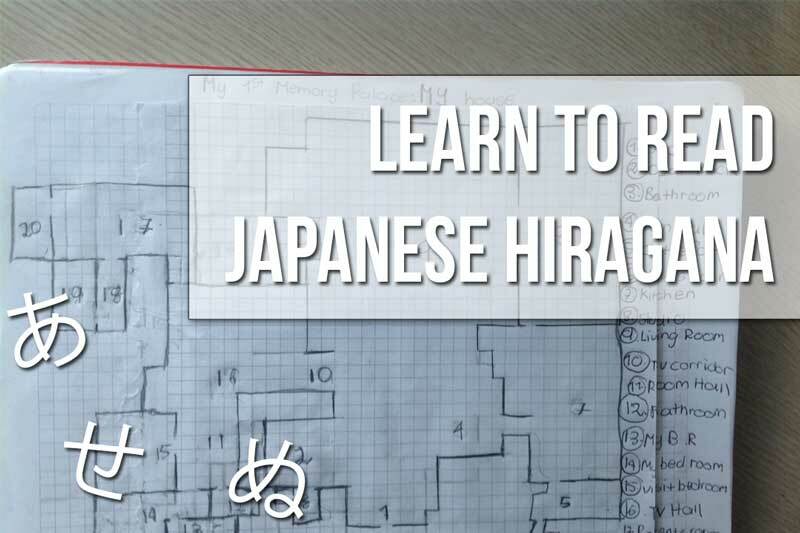 But youve found out that hiragana is the first stage and its got you worried! Youve probably heard about mnemonics for learning vocabulary in a foreign language and wanted to know more. Well, the good news is that a similar technique works for learning hiragana too. And the best part is that using a special process will let you do it in record time. Prepare to enter a magical realm of speed-learning one of the sticking points that lock thousands, if not millions, of people out of the Japanese language. Don't bookmark this post for later. Read it from top to bottom. Take notes, make the recommended sketch and then take action. A massive percentage of otherwise willing people will “save data for later,” ensuring that they never find their way back to it again. You're going to learn, memorise and recall the hiragana in a blazing fast way that will serve other aspects of your learning needs too. One of the goals of using something like the Magnetic Memory Method as a memory technique for language learning, is to memorise sound and meaning at the same time using associative-imagery. But to learn to read Japanese… there is no meaning as such — just shapes and the accompanying sounds. This restriction means that all of our mnemonic efforts must be geared towards creating associative images that allow us to instantly recognise a shape and know how it sounds when pronounced. The mind isn't like a computer, and that's a terrible metaphor for something so complex and precious. But there is a kind of spatial relationship between how computers can store files in folders and the mind's ability to organise information. Don't Get Hung Up On The Terminology! The important point is to map out a journey in a familiar building so that you have a place to store the funny images you'll use to instantly memorise and recall the hiragana until you've lodged them into long term memory. You'll notice that this image is more than a simple floor plan. It is covered with information that indicates a journey through the space. You'll also notice that they journey has a methodical logic to it. The path leads outward so that the user doesn't wind up in a dead end. It's also basically linear, which means that the user isn't following a confusing path. These points are important because a key principle is to reduce the mental effort needed to produce the Memory Palace in your imagination so that the bulk of your mental energy falls on creating associative-imagery. 2. Create an image for each and every character that prompts you to recall both how the character looks and how it sounds. You'll also add features that help you recall the diacritical marks used to indicate modifications to the characters that produce alternate sounds. One of the best ways to do this is by creating a Bridging Figure. When I decided to learn to read Japanese hiragana, I had several, but the poet Ezra Pound helped with the majority of the journey. I think he came to mind because of his interest in and writing that included Japanese characters, but for you, it will be someone else. 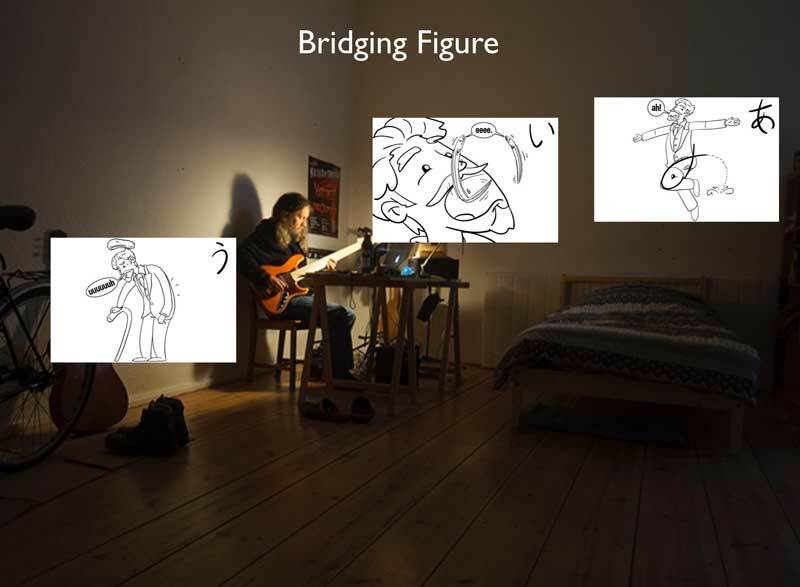 The Bridging Figure need not be related to Japanese, but should be familiar to you. Someone specific like Johnny Depp will always be better than a fantasy creature because you've probably spent hours of your life looking at him. A fantasy figure needs to be created from scratch and recreated every time you use it, costing time and mental energy better spent on memorising hiragana. As mentioned, you want to link sound and shape together. Since you already have a well-crafted Memory Palace, the best thing to do is take your Bridging Figure and imagine it, him or her doing something at the first point that triggers sound and shape at the same time. 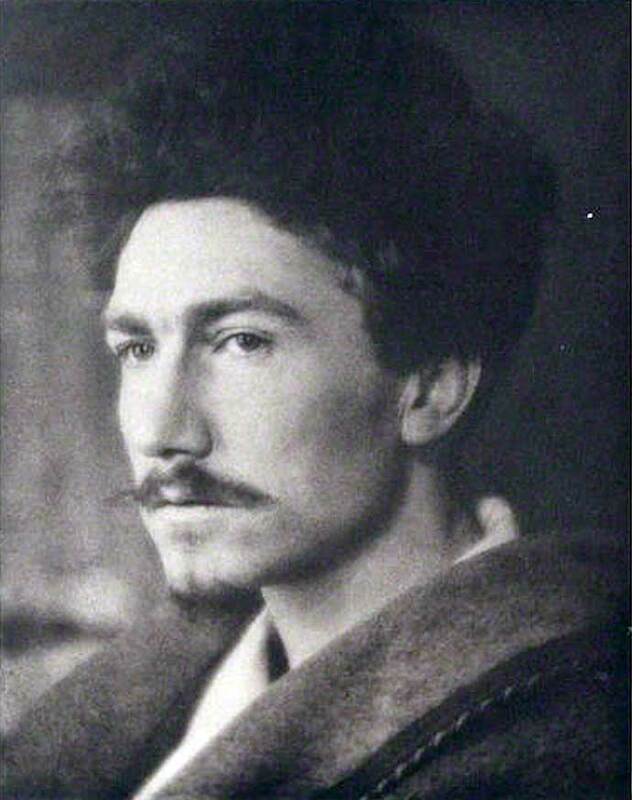 In these three examples, you see Ezra Pound “stationed” at three separate locations in a room with which I am intimately familiar. On the first station, he is making the sign of the cross while a fish leaps at his feet while making a sound. This bodily configuration looks a lot like the first character of the hiragana, and the sound he makes is designed to match. In the second image, eels shaped like the target character are bursting from his mouth. In this case, he's not only making the “iii” sound of the character. “Eels” itself contains the target sound. In the Magnetic Memory Method, this is called the Principle of Compounding, and any time you can add an additional layer or condition that reinforces the target information you're looking for, it will increase the speed of learning, depth of retention and accuracy of recall. For the last example, we see Pound bending over his cane with his hat flying up off his head. Combined with his pained grunt, the sound and image match the target character. Placed in the Memory Palace, it is now a breeze to zoom to that spot in my imagination and remember the sound of this character whenever I see it, or draw it directly from memory during Japanese writing practice. I know that a lot of people love electronic flashcards. There's nothing wrong with them and with dedication, the results can be spectacular. But when using a Memory Palace, the time spent on spaced-repetition algorithms can be saved. 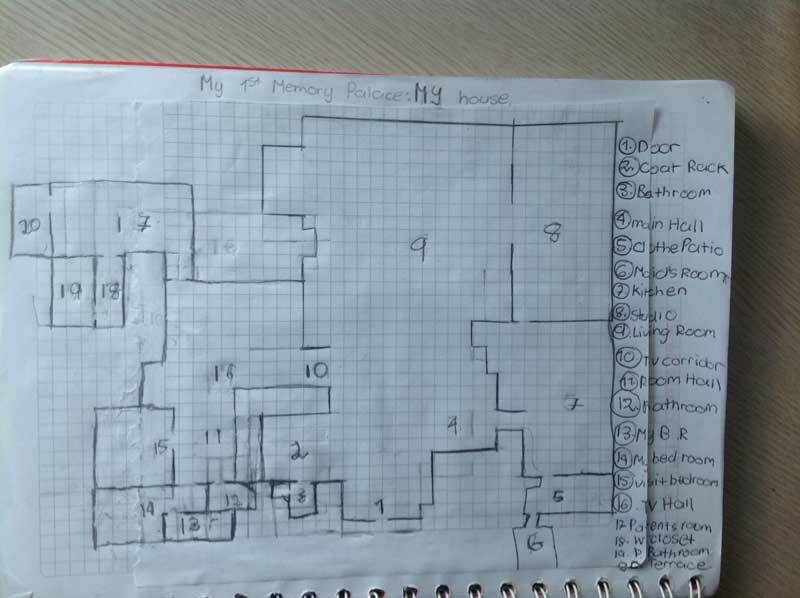 Try using your Memory Palace to create your own algorithm instead. You'll be surprised by how little time and effort you need. Everyone is different, but a general Rule of Five works well. I've adapted my version of this guide from the shockingly successful mnemonist Dominic O'Brien. You're not going to need that long, especially if you do five rehearsals every day for five days. Most likely, you'll have the sound and meaning of every character in your long term memory from the first couple of goes, especially if you are also making Japanese a daily affair – which you should be as a serious student of the language. Learn To Read Japanese – No Struggle Necessary! Master this technique and things will keep getting better and better for you. After completing the hiragana, repeating the process with katakana will take no time, and you can then think about applying the technique to kanji too. If you're new to memory techniques, and memory palaces in particular, you might be wondering where to start. So I've put together a Memory Palace Success Checklist, so you know exactly what to do at each stage to use the technique effectively. 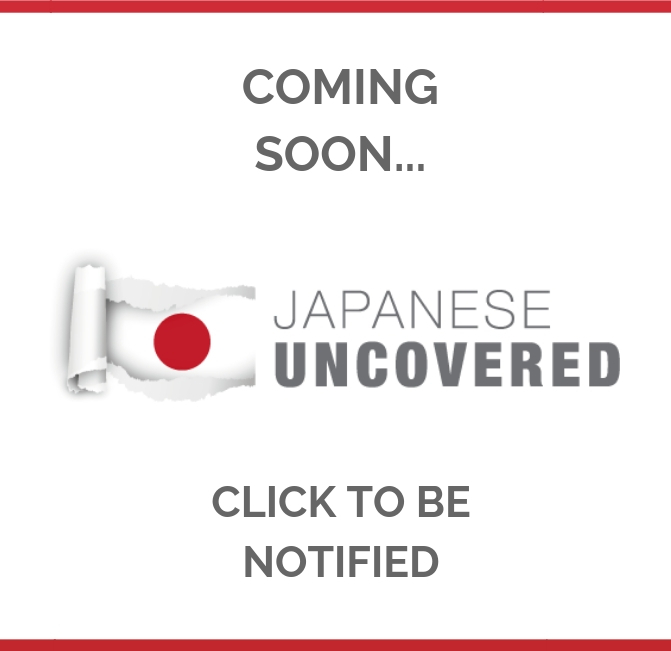 Subscribe to my newsletter to receive my best Japanese learning tips, and get this article as a handy free PDF!